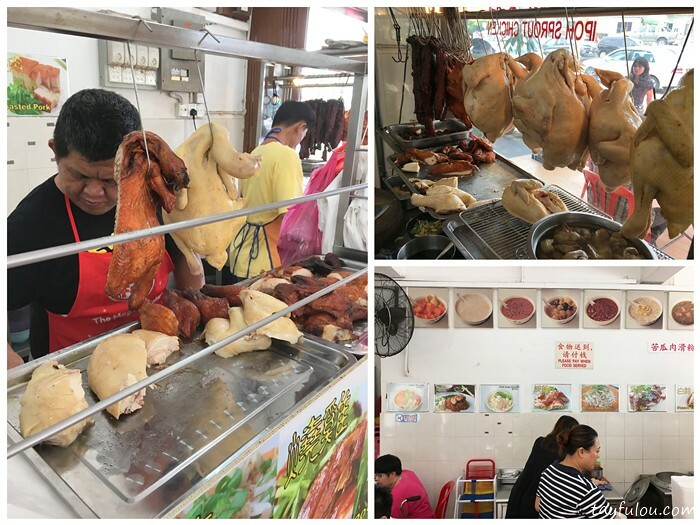 Previously when I came here for my Kum Kee Charcoal Roast Pork which is only a few doors away from here and , one of my reader recommended me to try one of her favorite place which serve Ipoh Chicken Rice at Restaurant New Lian Hin. 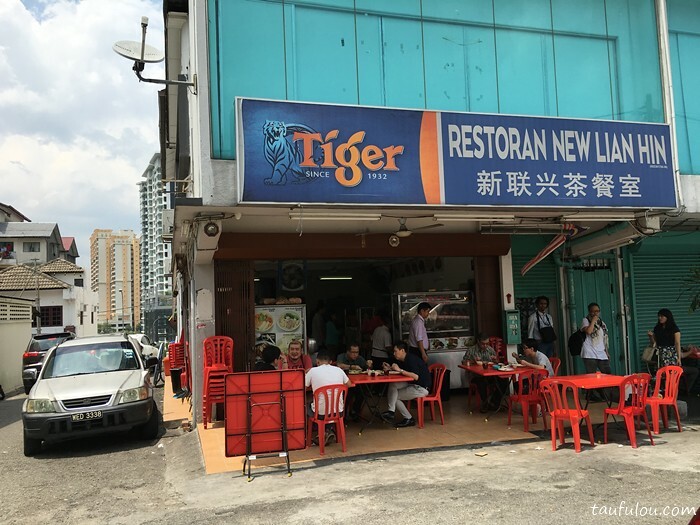 So Since we were there for a few rounds and drop by here for lunch to give it a try, which also do attract us whenever we walk pass by. This outlet also enjoying brisk business during lunch time and alot of diners came by for take away. 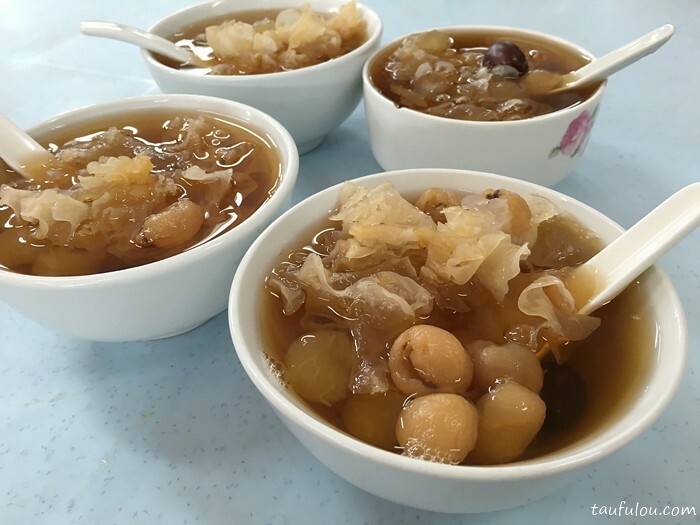 Ordered their home cook “tong sui” that turns out pretty generous with its ingredient. Not too sweet yet flavorful. A good one to start off with. 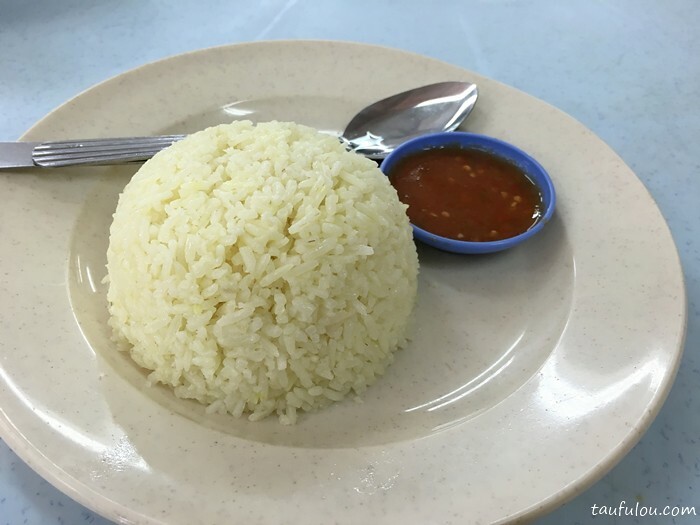 We were served with rice first and it smells nice, where colour is a little pale pandan colour, fragrant with chicken oil and pretty good for a chicken rice. 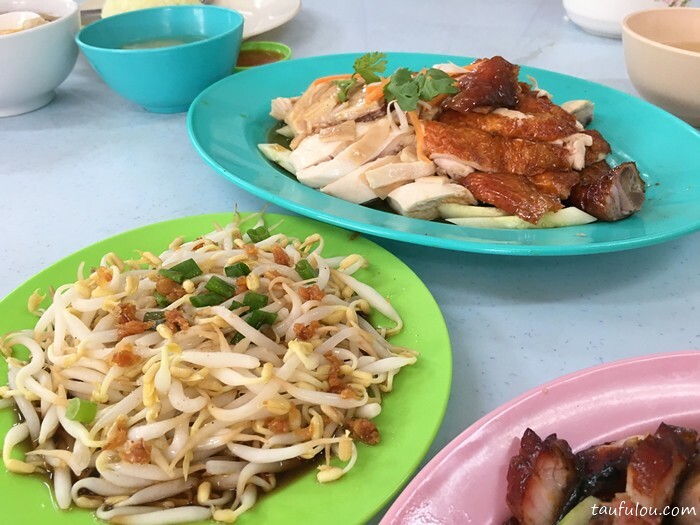 We ordered mix meat, ranging from Roast Pork, BBQ pork, chicken and roast chicken along with bean sprouts. 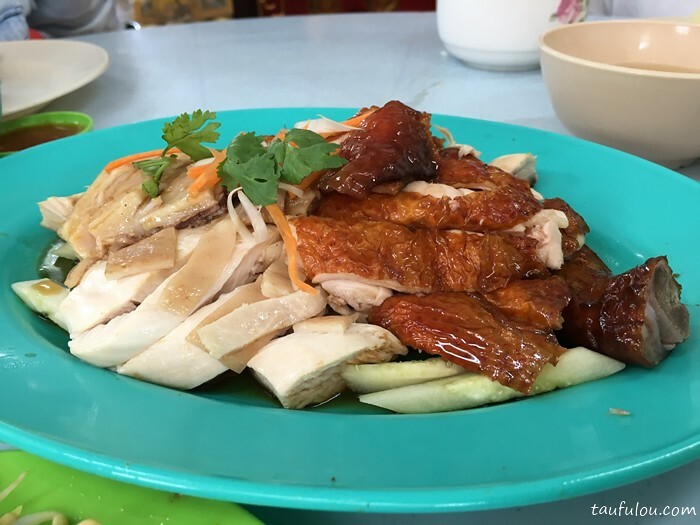 Chicken meat turns out to be juicy yet not too dry and roast chicken is pretty good too. Roast pork and BBQ pork turns out to be good too, where they are slightly above avreage than many chicken rice stall. Indeed it was a good recommendations and worth to come back again as price for this meal for 3 pax is estimated RM 45 which we think is pretty decent. A regular at this place with the family on most weekends. 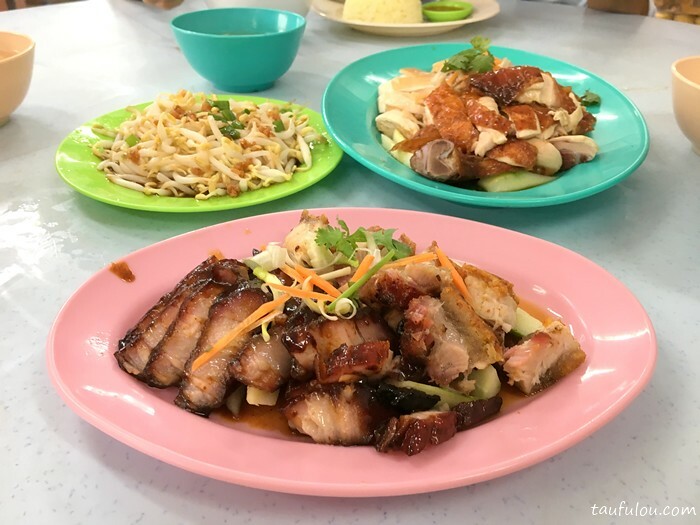 Simply love their BBQ pork whether on its own or with rice or with wanton mee. Gotta try their creamy and rich curry mee too. 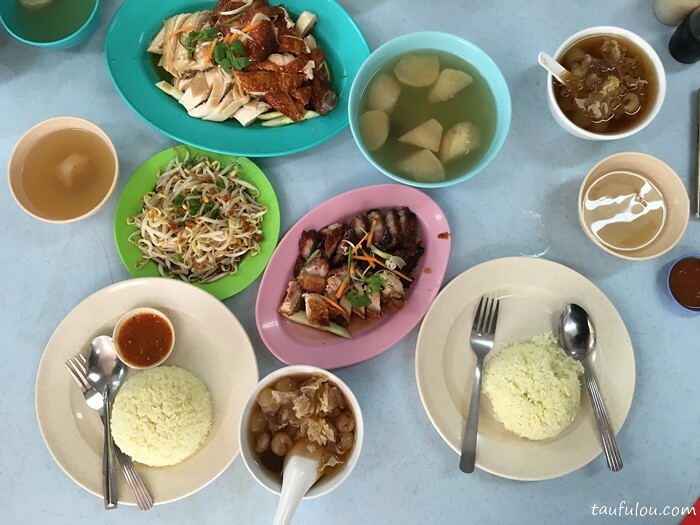 Come over for their delicious weekend specials like mee siam and chee cheong fun wraps that pair so well with the tong sui. ah, i am glad that I am not the only one enjoying it and glad that you enjoy it too. Will try your other recommendations too which is the little stall at the front. Does this comment section really work?